As I mentioned on a previous post, the day after Vienna we made this amazing recipe (below), which really works. 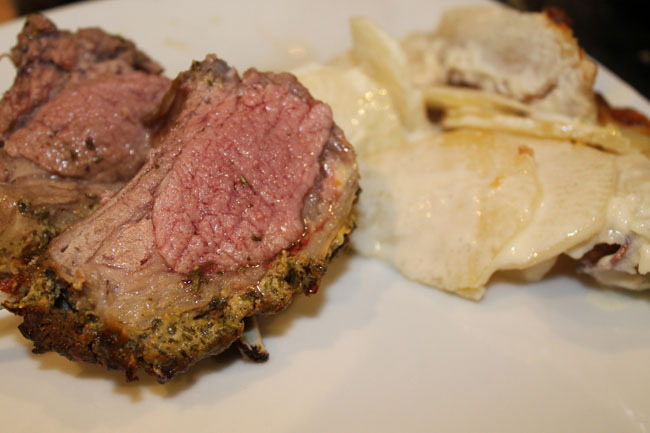 I’m not a huge fan of cream so I was apprehensive about dauphinoise potatoes but they worked with the lamb really well. However, before I discuss the recipe… on my last website, which I closed down, (Drink. Music. Dance. – Great name right?) I did film reviews. I watched a couple of films over the weekend so I thought I would quickly review them on here (this won’t be a regular feature, just a bit of fun now). The first was Django Unchained. This was a fantastic Taratino film where Christopher Waltz was at his best. Personally I think he makes the film. He is so charismatic and plays the bounty hunter role perfectly. Jamie Foxx can’t compete. There are some funny scenes in it and of course it has Taratino’s glorified blood and violence (which isn’t to everyone’s taste). I also saw A Good Day to Die Hard – not so good. If you like silly action, as I do, you will enjoy some of it. Towards the end it got too silly, even for my liking. The film is about Russians and nukes and Chernobyl. When Chernobyl was mentioned the film got too silly. This saddens me to say but don’t watch – just go watch Die Hard at home. Slash the flesh of the lamb a few times. Mix together olive oil, mustard, garlic, rosemary and parsley. Rub the mixture onto the flesh to coat the lamb evenly. Cover and marinate in the fridge overnight. Remove from the oven, cover with foil and rest. Preheat the oven to 160 Deg C..
Repeat until all the potatoes and garlic has been used. Pour equal quantities of milk and cream until covered. Place the potatoes in the oven. Bake for 1 hour, or until the potatoes are completely tender. Looks so yummy! And you have good taste in movies. Yay Tarantino films!